Note: I’m surprised I didn’t remember the slacking of the USPS and didn’t burst into tears. I have two books that I ordered and they haven’t come yet! *bawling* They’re totally awesome books, too, or so I assume so. I loved the first book and I’m DYING to read those other two books!!! For God’s sake, USPS! HURRY THE HECK UP! I want no caption here! So there! Only ONE review this past week! I’m totally slacking! Paper Towns (John Green) or Sapphique (Catherine Fisher)? I find it hard to believe that I created this blog only a year ago. It certainly doesn’t feel like I’ve been blogging that long, but then again, I really haven’t. I posted a few times a month; I didn’t really get going until the summer time, when I got to meet all you awesome bloggers and got welcomed into the community. So honestly, being my blogoversary, I thought I would be the one getting stuff but in the blogosphere, it’s the other way around. XD I think of Blogoversaries like birthdays, you know? LOL. So. I will be having a giveaway but I’m still figuring the details out. 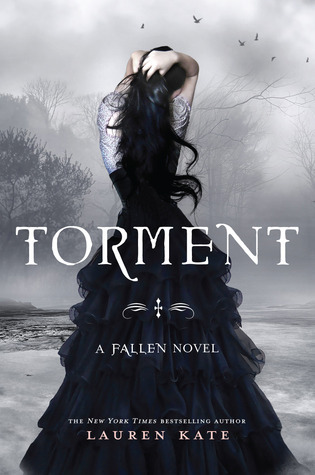 I do have those three books (Fallen, Torment and Halo) that I mentioned I’ll be having a giveaway with, but I want something for Valentine’s Day too, since it’s right around the corner. FYI: My blogoversary giveaway is meshing with my 200 followers giveaway. So I only bought one book for myself this week—but I got two books for one of my awesome blogger friends who’s birthday is this week and she didn’t bother telling me until two days ago! Wish I could tell you what I got her! But then that would be completely counterproductive. OH MY GOD! So I'm a total idiot. (It's Sunday morning, so cut me some slack.) I received a package yesterday from the ever awesome Jennifer Murgia! She send me my prize for winning the Angel Star Re-Create a Cover contest. The prize? An absolutely GORGEOUS bracelet and some awesome bookmarks. * NR = Not Rated: Because I have not finished this book, I cannot judge it in its entirety and will not give it a rating. I have written this review because it is not a book I will pick up again. Hello and good day to you! :) I myself have had a pretty good week. Got two books yesterday (and Oreos XD). And um…yeah…sorry for the constant interruptions via animals. The cat—Gigi—who we just call “Cat”, and my German shepherd, Dora. The goofball. I was going through a few blogs of author’s that I stal—*cough*—follow and found a fascinating article about fatphobia in YA literature. I felt very strongly about this article because it points out continuous flaws that are generally accepted by readers but that need to be fixed. For instance, the life of being “fat” is never really explored—at least not widely. You pick out almost any YA book and the cover will feature a thin model, the main character will be slender and the comic relief will be “a few pounds over curvy”. I myself am about fifteen pounds over wholesome and some of my friends will tell me, “You aren’t fat. Just work with what you have.” Yeah, doesn’t mean I don’t get depressed about those few extra pounds when it comes to clothes shopping. Easy for my friends (thin that they are) to say that. So I’d really like to see books that represent the REAL life of someone who is overweight. I hate how it’s become almost a taboo, as if a book like that wouldn’t sell or something. And if someone is going to write a book about it, they should just write it how it is. It isn’t necessary to draw all the attention to that one person. Just don’t always make them the comic relief or ugly or disgusting. I think the author of this article really did a phenomenal job. You can read it here. Magic lies at the heart of Cassaforte, medieval city of bewitchments and intrigue. Cassaforte is home to sixteen-year-old Risa Divetri, whose fate is about to be decided by the gods. Risa has led the sheltered life of a nobleman's daughter, but soon she plans to leave home to study the family craft-creating enchanted glass objects. When the gods are consulted to determine which school she will attend, the impossible happens: Risa remains unchosen. The rejection sends Risa into a spiral of shame, anger, and confusion. 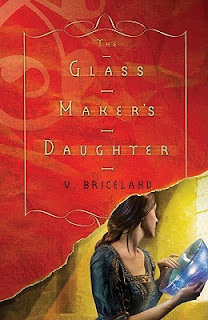 If she's not meant to be a glass maker, what will she do? 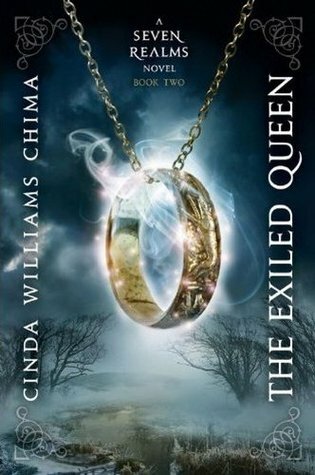 But when Cassaforte's age-old magic begins to unravel and dark forces threaten the kingdom, Risa's fiery spirit and untapped powers take her on a perilous journey—one that will lead her to her true destiny. This week, I wanted to share with you a book I’ve been waiting for since forever. I’ve had the joy and honor of interviewing this author (she’s one cool cucumber) and I own both her novels. Crown Princess Aurelia stands in the face of exile. Behind her are the sister who tried to kill her and the father who ignored it. In front of her are the entire kingdom and Robert—the friend she can't help but fall in love with. Aurelia may finally be living her dream . . . but danger is not far behind. When Aurelia and Robert are betrayed by the very guards assigned to protect them, their expedition becomes a fight for survival that carries them from frontier to desert sands. Even with a hunter on their tail, the risks—to their lives, the throne, their hearts—only fuels Aurelia's determination to see her kingdom. And when their perilous journey is finally complete, she will discover just how much her people need her, and just how much of a risk loving Robert can be. 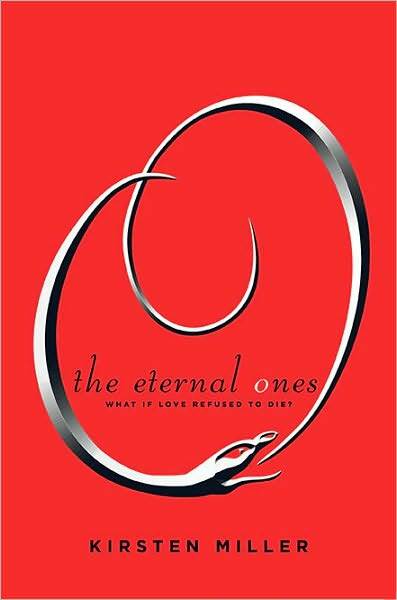 I absolutely loved Book One (“Aurelia”) as well as Anne Osterlund’s other work “Academy 7”. As I said, I’ve had the honor of interviewing Ms. Osterlund and you can find said interview here. 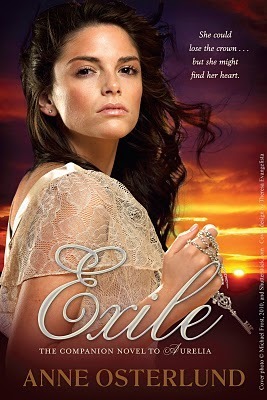 "Exile” is set to release April 28th, 2011. You can find my review of “Aurelia” here. You can find my review of “Academy 7” here. Lyra is content to run wild among the scholars of Jordan College, with her daemon familiar always by her side. But the arrival of her fearsome uncle, Lord Asriel, draws her to the hart of a terrible struggle—a struggle born of Gobblers and stolen children, witch clans and armored bears. And as she hurtles toward danger in the cold, far North, young Lyra never suspects the shocking truth: she is destined to win, or to lose, this more-than-mortal battle. 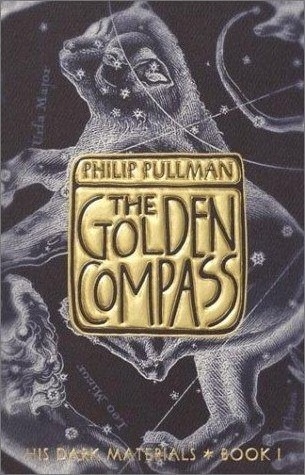 Philip Pullman’s award winning The Golden Compass is a masterwork of storytelling and suspense, critically acclaimed and hailed as a modern fantasy classic. So while my brother taunts me from downstairs with the luxurious smell of popcorn (it’s early, I know…but never early enough for popcorn), I will tell ya’ll what I got this past week. So…even though I only got TWO books this past week, it was made up for mentally because of the awesomeness of John Green! If you haven’t already noticed, I’ve recently reached over 200 followers! WHOO! And on top of that, I have my blog’s first year anniversary coming up in little more than two weeks. SO! I’m putting together some giveaways for my followers. :) That will come at the end of the month, though. I hope everyone has had an awesome week! HAPPY READING! The tough, tender, and darkly funny story of a teenage outcast. Melina Sordino busted an end-of-summer party by calling the cops, so her old friends won’t talk to her, and people she doesn’t know hate her from a distance. It’s no use explaining to her parents; they’ve never known what her life is really like. The safest place for Melina is to be alone, insider her own head. But even that’s not safe. Because there’s something she’s trying not to think about, something about the night of the party that, if she admitted it and let it in, would blow her carefully constructed disguise to smithereens. And then she would have no choice. Melina would have to speak the truth. I freaking love this series. 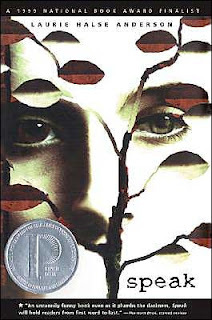 Patricia Briggs is an ideal writer and storyteller and most of all, I love the main character, Mercy. She’s completely awesome. Definitely #1 on the Best Characters of All-Time. (At least, paranormal-wise.) I burned through the first five books (after a six-month—count it—six-month wait for book two) and I can’t wait for this next installment. 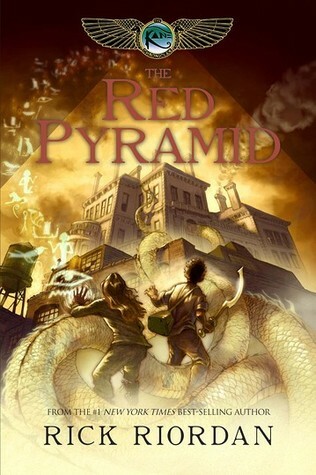 I hope Patricia Briggs keeps this series going as soon as possible…though…I have a feeling it’s winding down…Noooooooo! 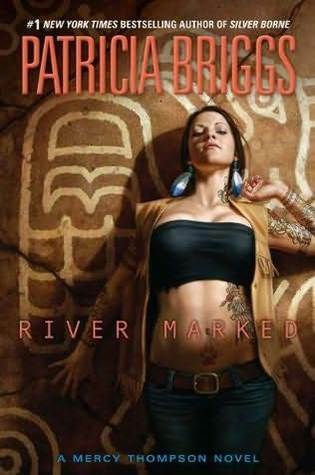 You can add “River Marked” to your Goodreads here. According to Goodreads, “River Marked” releases March 1st, though I’ve had it marked down for January 26th for some time now. For now, let’s go with releases March 1st. As in, golly g minor, Batman! Hey ya’ll. Just a bit of a heads up. For those of you who read my reviews, you’ll notice a slight change in the ratings. I’ve previously been using my own “Grading” system, which uses A, B, C, D, F like a school report type of thing. I can’t really say what inspired me to think about changing, but from now on, I’m going to be using the number rating system. I’ve decided to go with 1-5 instead of 1-10 because 1-5 is more widely used in the general community (like Goodreads). Alrighty…for those of you who are just stopping by for IMM, I went to a local bookstore in Lexington, KY called Half-Price Books. I went to Kentucky with one book to my name (and $39) and came back to Charlotte with a whopping total of thirteen books (and a miserable amount of 45 cents in my pocket). So all these books are used but I can’t wait to read them. So yeah. Went pretty crazy last week. *Han Alister journeys south to begin his schooling at Mystwerk House in Oden’s Ford. But leaving the Fells doesn’t mean he’s left danger far behind. Han is hunted every step of the way by the Bayars, a powerful wizarding family set on reclaiming the amulet Han stole from them. And Mystwerk House has dangers of its own. There, Han meets Crow, a mysterious wizard who agrees to tutor Han in the darker parts of sorcery—but the bargain they make is one Han may regret. Meanwhile, Princess Raisa ana’Marianna runs from a forced marriage in the Fells, accompanied by her friend Amon and his tripe of cadets. Now the safest place for Raisa is Wein House, the military academy at Oden’s Ford. If Raisa can pass as a regular student, Wein House will offer both sanctuary and the education she needs to succeed as the next Gray Wolf queen. Everything changes when Han’s and Raisa’s paths cross, in this epic tale of uncertain friendships, cutthroat politics, and the irresistible power of attraction.